Here are some thoughts on this inspiring and beautiful subject. The male eternally searches for his female half, the “sakthi”, and the female searches for her masculine half, the “siva”, to complete the cosmic energy circle.. But always through an external relationship, an external partner- hoping it is the duty of “the other”- to give us pleasure, security, sense of belonging, or whatever it is we are continuously searching for.. Hence the anger, frustrations & accusations (and transient pleasure also) when this does not happen- in all these male-female relationships..
Until we internally realize the other half of our energy cycle, which we ourselves ultimately have to, for our inner fulfillment, this futile external search will go on, says Sri Tathata, quoting the sacred science of the tantra.. But with full awareness, unconditional acceptance, total respect, and infinite love..
..as a pathway to discover the absolute divine in us, and in each other.. 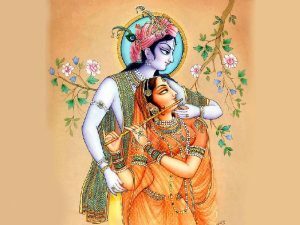 Here is a story about Krsna and Radha, the eternal lovers as pictured in the image above. In my view, it illustrates the transcendent quality of love, which is True Tantra. “One day, Radha was taking a bath, when Krsna entered the bathroom. 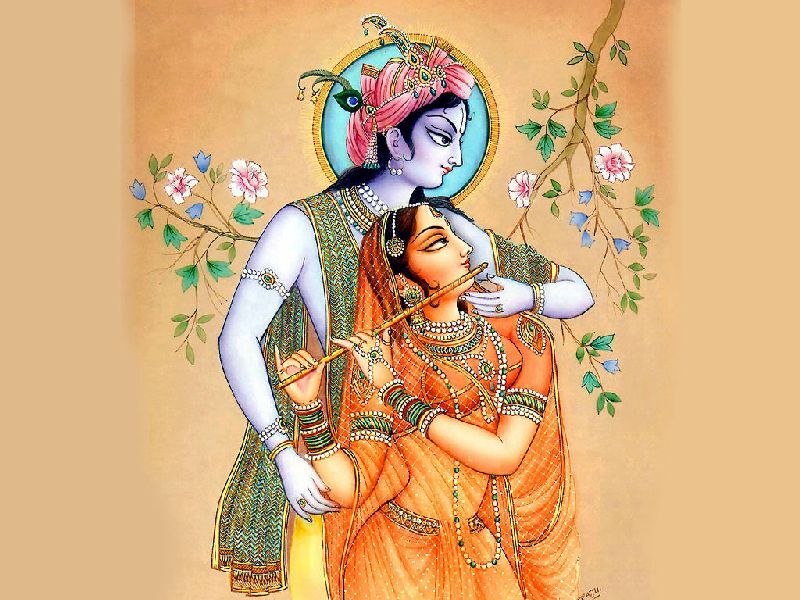 Radha was so immersed in the bliss of her love for Krsna, and so identified with him in her love, that she got out of her bath, forgetting to cover herself, and offered him a piece of fruit – a banana. But she was so identified with him, that she ate the banana herself, and gave him the peel. He accepted it gladly. My quest in tantric massage has always been for completion peace security but more than anything else a joy that quivers and stays with me and grows…………..something I have often found in your temple. In Radha’s abandonment of self is true tantric abundance for she is lost to the moment and yet for the first time magically truly alive to the moment. We all need to learn this and be alive to the moment through still surrender. Now more than ever I am convinced of this. Anyway thanks for this inspiring reminder of the true valid and joyful purpose of tantric practice. Hope your trip to India renewed you with a fresh sense of our eternal spiritual quest. Hope to see you one of these days when I make a booking. And dont say you are in semi retirement but say you are in spiritual advancement.